It’s quite bizarre how the self righteous, downright envious supporters, of City’s rivals have perversely sought the moral high ground in relation to the Sky Blues travelling support at Wembley today. 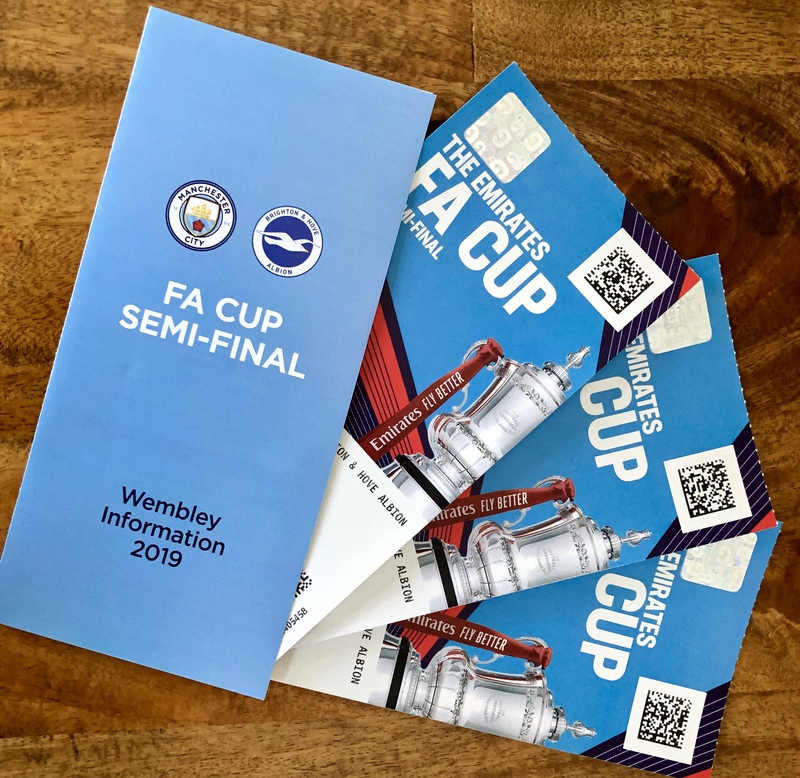 Yes, it’s more than likely City have not sold their full allocation of tickets when they face Brighton in the FA Cup Semi Final. Prices range from £30-£120 at the so called ‘Home of English Football’. City’s success comes at a price, sometimes a price that is a little too much for the travelling support. The game comes during a 30-day period when City have to play nine games – six in the Premier League, two in the Champions League, and of course, one in the FA Cup. Half a dozen of those matches are away from the Etihad, with four requiring trips to London; the 2-0 away win at Fulham, today’s encounter at Wembley, Tuesday’s Champions League Quarter Final at Tottenham and the following Sunday’s clash with Crystal Palace. That’s a lot of travelling costs, often at awkward times when rail services back to Manchester are severely limited, plus the additional expense of food and drinks. The more local encounters with Ole’s ‘Gunnar Win Nothing’ boys and Joe Hart’s Burnley, are far more accessible and affordable, with Premier League away ties limited to £30 per ticket. Depending on where you sit at the Etihad, your seat at Wembley and whether you’re going to support City at Spurs’ new £1 billion stadium in just three days time, you could easily be shelling out up to £453, on match tickets alone, following Pep’s quadruple chasing team between March 30th and April 28th. 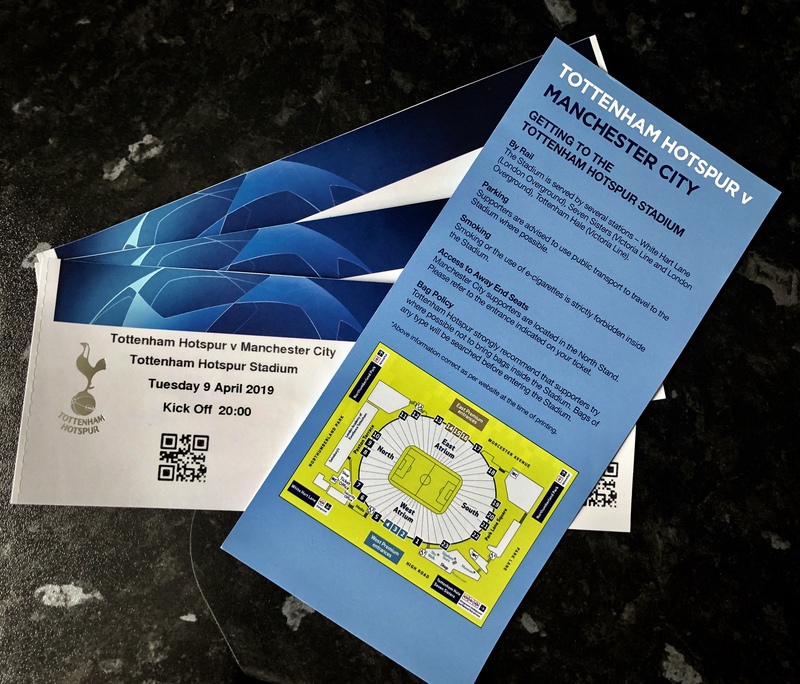 It’s fantastic that City are still chasing a glorious Quadruple, but £180 for three tickets at Spurs has to be budgeted for during an intensive run of City fixtures. All of this in a time austerity, a time when football ticket prices, particularly at the greedy, grasping ‘Home of English football’, border on the obscene. City’s fans are delighted to have the opportunity to watch Pep Guardiola’s team still competing in three major competitions in April. Sadly they can’t always afford the ticket prices and associated costs, to attend in person. Yes, City have rich owners, and we’re very glad of the fact, but that doesn’t mean an ostensibly ‘working class’ fan base has suddenly discovered new found wealth. 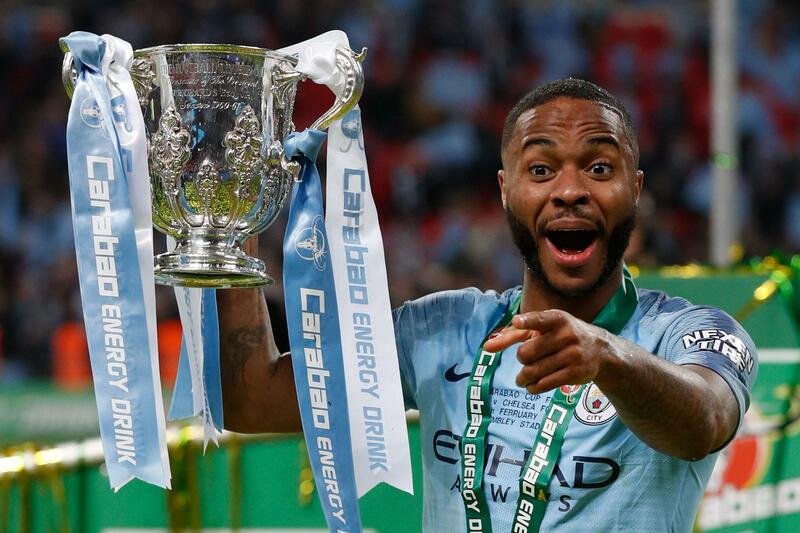 Admittedly, City’s own brand of Sterling is rocketing like never before, but as enjoyable as that is, it doesn’t put extra pounds in the pockets of the fans. At least City’s form of Sterling is rocketing! It’s a choice denied to the sniping supporters of other clubs, simply because their teams weren’t good enough to make it to Wembley. And therein lies the flawed and deluded attempt to grab that moral high ground. You have to be in it to win it, and having already bagged the League Cup, City are till fighting on three other fronts – nobody else is. Success comes at a price. Sadly it’s sometimes too high for even the most fervent and loyal City fan. Whether you’re a City Blue at Wembley or watching on TV, you can happily reflect on the fact that every Bin Dipper and United fan would love to be in your position right now. Exactly. This should be what is reported rather than the trash in the media. Should we make the fa cup final we will have taken close to 150000 to Wembley in a season. As far as I'm aware a number unmatched by any other club. Splendidly stated David old son! One of the more startling aspects of criticism like this is that it usually comes from two sources, 1. the ex-players who are paid to be professionally outraged. Keven Phillips asked, on TalkShite, "what's bigger than a Wembley FA Cup semi-final?" Christ Almighty, SuperKev, how much time have you got? City have so much bigger fish to fry these days, are you unable to see that? And 2, keyboard warriors. Usually sour arses, who never actually go to the games themselves anyway and rely on reflected glory to enable them to pontificate to others. I've experienced several of these gobshites recently myself and I've taken great delight in putting them bsck in their boxes. I hope they improve as people as they mature because they just constitute a waste of skin, as it stands. Today is a day for me to watch in the pub. I went to the League Cup final and I'll go to the final, if we get there. Aside from the Charity Shield (which I never go to, a waste if time, imo), this will be the first time I've missed a Wembley trip and although it's my decision, I'm not happy about it but hey, sometimes cold, hard realities just come crashing through. 100% agree. We've just got to shut out the noise and get on with the job of winning titles and trophies. Nah, just a City fan who can string a few sentences together. Well said Dave, I'm sick to death of these moronic idiots who haven't a clue what they are talking about. What a shame you can't do a column in a national paper to address the balance. But that wouldn't suit the anti City media. Keep up the good work mate. Thanks as ever Doug for your tremendous feedback. Bit late picking up on this one David. To be brief some Seagulls fans thought our attendance was very good considering the times we have been to Wembley and all our games. It is only journos etc who don't pay to watch games who indulge in fast becoming yawning topic.. 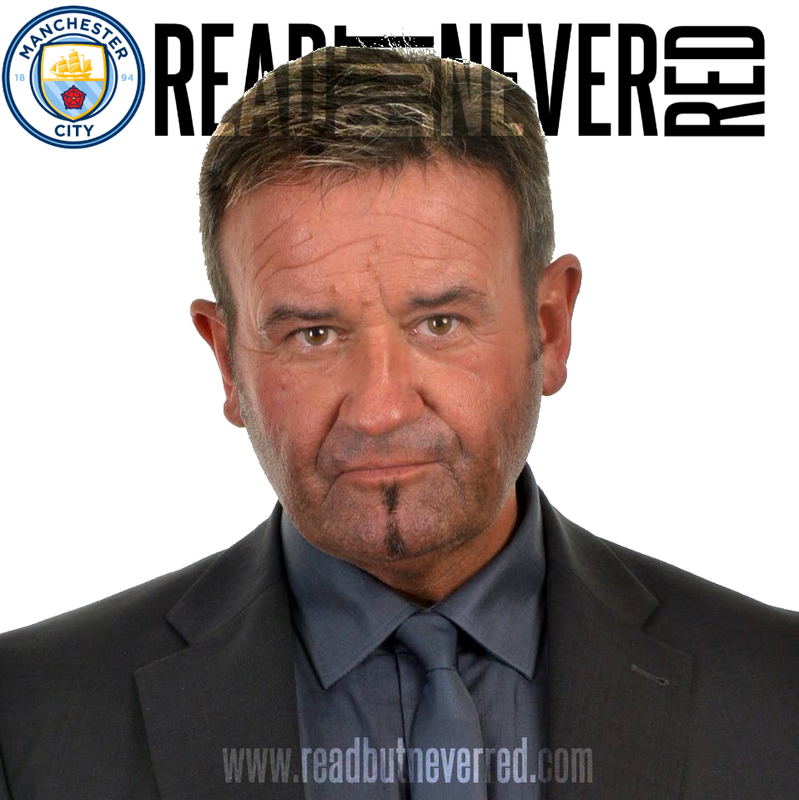 There's an excellent piece by Andy Mitten - a writer and massive Manchester United fan - you'll find it on Read But Never Red's Facebook page - which sets out why it's wrong for other sets of supporters to denigrate City's support at Wembley. He makes a number of highly relevant points, not least the statistic that the crowd for the 1995 FA Cup semi final replay at Villa Park, between Manchester United and Crystal Palace was 17,987! He goes on to state United had a home attendance for a home game against Wimbledon of just 23,368 in 1989, at a time when City averaged 23,500 as a Second Division team.Give it a read. Once again, many thanks for your feedback Richard. The biz as percentage usual, David. I checked up on the twitter feed of a couple of those trolls of the red persuasion. Only looking at 2019 it was clear that neither had attended a yoonited game this year and they spent more then half their keyboard time ranting at individual players, the board or the owners of the club they profess to support. They're pathetic, just like the privileged, so far up herself, Kirsty Gallagher, who sought to belittle City fans in general and undermine the excellent Ena Parkinson, when Ena rang BBC 5 Live on Saturday evening. The thing with social media, gutter 'journalism' or, in Kirsty 'My Daddy's famous and haven't I got nice t*ts, so can I be on the telly and the radio, oh and please ignore my drink-drive conviction' Gallagher's case, is the all pervading negativity. We should just ignore such shallow, baseless bile, but it's easier said than done when we want to redress the balance. I hate to support the press but one paper has at least written an article addressing this matter in our favour. I got the feeling a bit of plagiarism was at hand. Could it be You are more popular than you thought ? I've never been popular and never likely to be ;-) Cheers fella.